When it comes to an organization’s security, emergency planning or investigative needs; most people call a service provider (like an alarm company or Private Investigative firm) before fully understanding their needs. What Mannes & Associates does is provide clients with access to experts in the fields of public safety, security, emergency management (business continuity) and investigations to assess their needs, risks and vulnerabilities. This way, organizations can select service providers, technologies and/or capital improvements from an efficient, effective position of expertise. 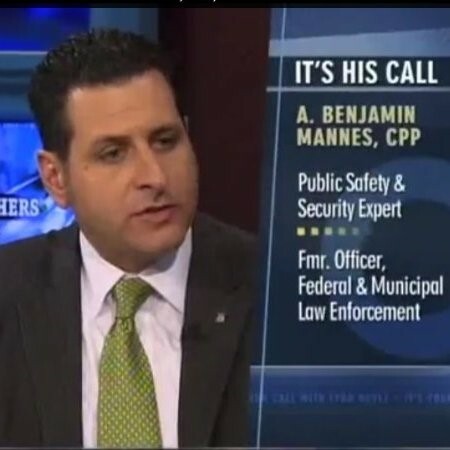 Mannes & Associates started in 2003, as a part-time venture of founder Ariel Benjamin Mannes, MA, CPP, CESP (Ben) when he was serving as an officer with the Washington, DC Metropolitan Police Officer. Reflecting on his law enforcement experience with the Terrorist Trials Operations Command in New York, on the DC Civil Disturbance Unit through major protests & Presidential protection details, and in the Joint Operations Command Centers through the attacks of September 11, 2001 and the DC-area sniper task force of 2002; Mannes saw a void in professional security assessment and planning services that bridged gaps between safety, emergency management/business continuity and asset protection. Therefore, Mannes & Associates was created when Ben tapped contacts in law enforcement specializing in homeland security, domestic violence, training and emergency management to create a “one-stop shop” for your security needs. Mannes & Associates’ founder is himself, an expert across numerous niches of public safety. After gaining early acceptance to New York’s John Jay College of Criminal Justice; Mannes immediately became a Special Police Officer with the City of Long Beach, NY and an Auxiliary Police Officer with the NYPD at the age of eighteen. By the age of twenty; he had been hired as a Federal Law Enforcement Officer by the US Federal Protective Service (FPS), to serve on the New York Terrorist Trials Operations Command set up by the US Marshals Service, NYPD, Bureau of Prisons and FBI following the 1993 World Trade Center Bombing. In this capacity, Ben served on the special security details in effect through the trials of the “Blind Sheik” Omar Abdel Rachman and first indictments of Usama bin Laden and al-Qaeda following the twin embassy bombings in 1998. After two and a half years’ service with FPS, Ben joined the Washington, D.C. Metropolitan Police Department (MPD) and after serving some years assigned to the high-crime Sixth District Substation in Anacostia, he was once again called to serve in a homeland security capacity at the Synchronized Operations Command Center during the attacks on September 11, 2001. Two years later, Ben went on a leave of absence to settle a personnel action with MPD, which was later resolved in his favor. In the interim, he became the National Training Coordinator for the Community Anti-terrorism Training Institute’s CAT Eyes Program, where he was a Master Instructor training law enforcement agency instructors in Boston, DC, New York, New Jersey, Maryland and Virginia as well as conducting threat assessments for Coach USA surface transportation networks in New Jersey, New York and Pennsylvania through funding by the US Department of Homeland Security (DHS). It was through his work with CAT Eyes that Ben was recruited by the American Trucking Associations to be assigned to the Highway Information Sharing and Analysis Center at the Transportation Security Operations Center (TSOC), a DHS-run command center tracking all modes of transportation in the United States. One year later, Ben was moved from contractor to government and given the position of Inspector/Surface Transportation Security Specialist assigned to the one of the nation’s first Rail Security Inspection Teams at the US Transportation Security Administration. It was at this position that Ben personally monitored homeland security intelligence and conducted inspections for the MARC/Maryland Commuter Rail System, Baltimore Subway/Light Rail, Washington-Area METRO, AMTRAK Northeast Corridor, Virginia Railway Express and Norfolk Southern Rail Lines through D.C., Virginia and Maryland. Ben then served as a Sr. Consultant for an Israeli-American homeland security technology firm, working on large-scale emergency management & homeland security projects for public safety agencies in Columbus, OH, Los Angeles, and the Greater Philadelphia area in 2006 and 2007, before his eventual reinstatement with back pay to MPD. Since then, learning from the ups and downs of his career, Ben has continued to become a noted subject matter expert in law enforcement, investigations, homeland security, and public safety; consulting throughout North America. He has served on sensitive homeland security projects throughout the nation and his intelligence-sharing and team building initiatives have impacted the private, nongovernmental, law enforcement and military sectors. As a consultant, Ben assists clients and organizations in establishing best practices in their efforts to secure their personnel, physical & intellectual assets. He has served with committees at the American Board of Medical Specialties, Association of Test Publishers, Caveon Test Security/Institute for Exam Security, Paradigm Testing, SERAPH and served as an elected Governor on the Executive Board of InfraGard; the FBI-coordinated public private partnership for critical infrastructure protection for over six years. Ben has developed assessments, plans and policies for political candidates, the faith-based community, property managers, hotels and professionals to include numerous testing organizations, three state education departments, school districts, venue managers and a colleges. In addition, Ben has contributed to his community by speaking professional meetings on talking points revolving around public safety, homeland security, intellectual property protection and the public integrity. As a result, Ben is a member of the Collegiate Criminal Justice Studies Advisory Board and as an elected Governor with InfraGard, the FBI-coordinated public/private partnership for critical infrastructure protection. Ben has also consulted with the news media as well as film and television producers. He has appeared on talk radio, worked with screenwriters, producers & actors; and has being published in The Hill, Arizona Republic, Buffalo News, the Daily Caller, Philadelphia Daily News, St. Louis Post-Dispatch, Washington Times, Security Magazine and others.